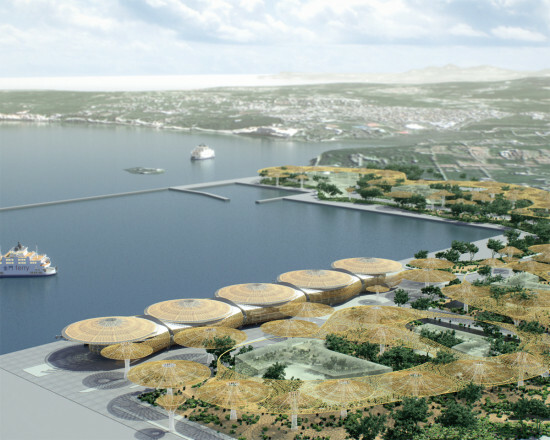 As we’ve noted before, water-surrounded Taiwan has become ground zero for ambitious port projects, from Neil Denari’s Keelung Harbor to Reiser Umemoto’s Kaohsiung Port Terminal. 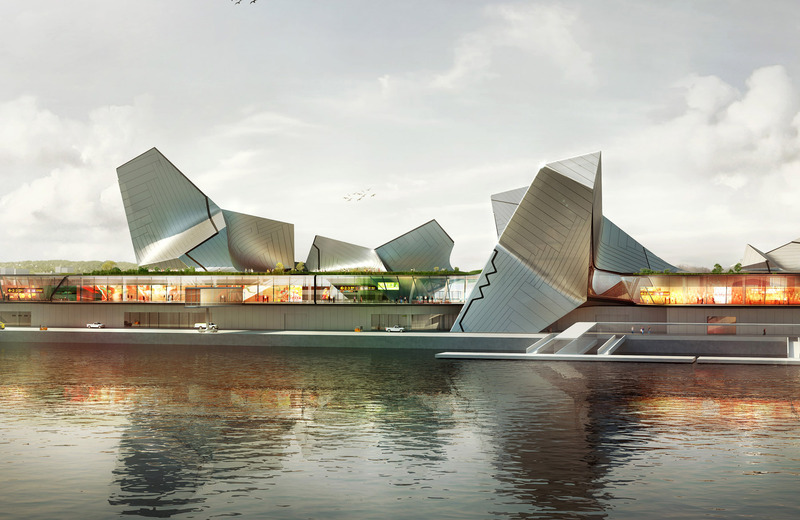 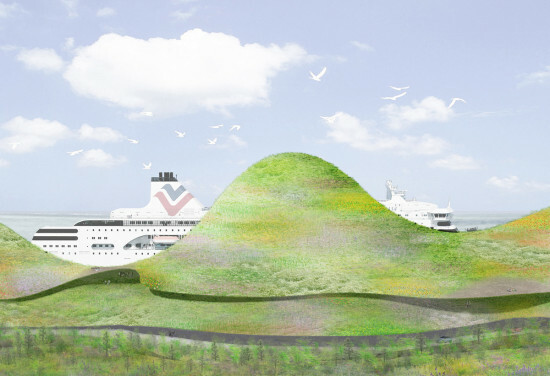 The latest, the Port of Kinmen Passenger Service Center, has just been awarded to Japanese firm Junya Ishigami + Associates, for a series of undulating landform buildings that all but disappear beneath their green roofs. 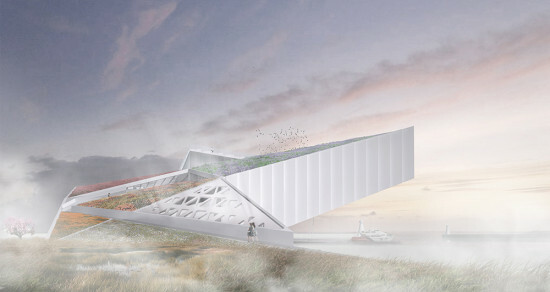 Second and third place went to California firms, Tom Wiscombe Architecture, for a design featuring five crystalline structures hovering over a large box, and Lorcan O’Herlihy Architects (LOHA), for a grid of folded triangular planes weaving through and above a public park. Runners up were Spanish firms EMBT and Josep Mias Gifre. The $62 million Passenger Service Center, located on an island off the Taiwanese mainland, will contain facilities for domestic and international ship arrival, port offices, and commercial, equipment, and administrative uses. 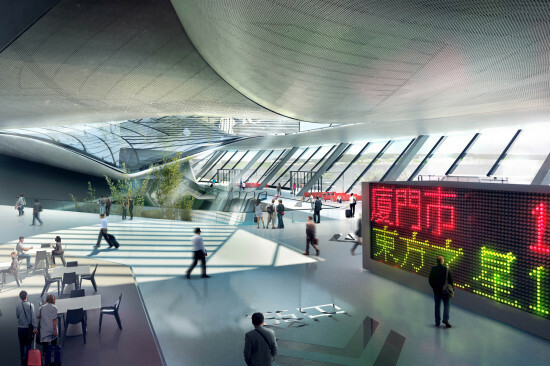 The jury included, among others, Japanese architect June Aoki, Mark Robbins, president of the American Academy in Rome; and Jonathan Hill, professor of architecture at the Bartlett School of Architecture in London. 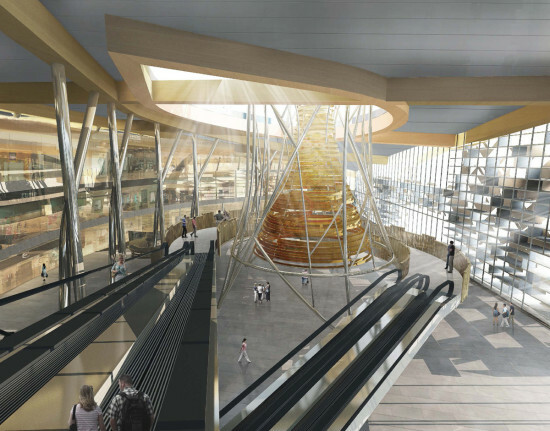 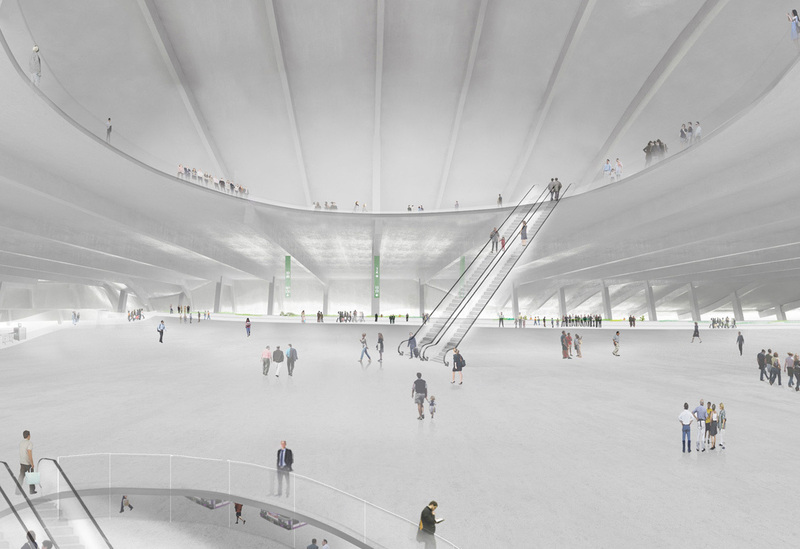 The center is expected to eventually accommodate 5 million passengers yearly.